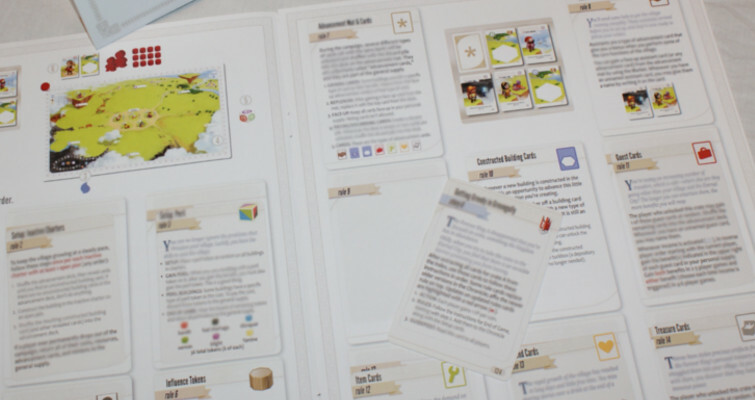 The review contains images of the basic components of the game. Certain parts have been blurred out to prevent any spoilers. A lush, uncharted landscape awaits you and your fellow settlers. Each of you will work towards building a new kingdom in an eager attempt to please your king by being the most successful of all. 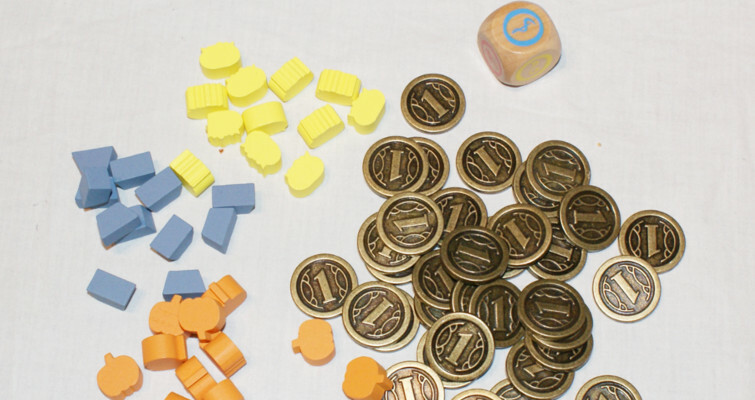 Charterstone is a legacy style worker placement campaign set over 12 games, where the object of the game is to colonize a new area and score the most points in the process. 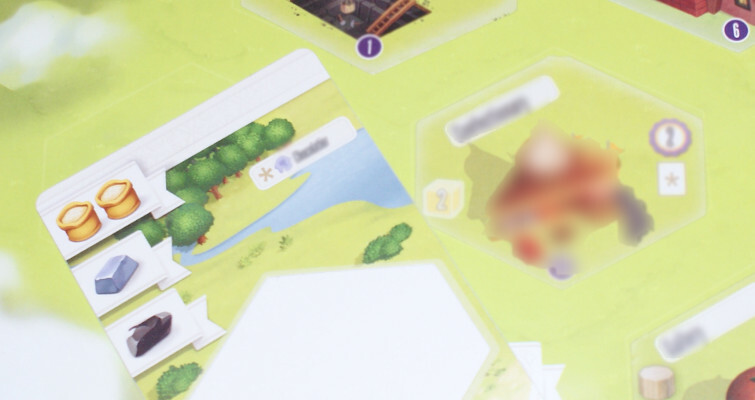 The board starts out with very little on it, but over the course of gameplay more and more will be added and a new kingdom will start to form, made from the personal choices of the players. To start the game each player must first select a player color and will be given a character and area corresponding to that color. Players will not be shown which character matches which color, so the special abilities of the characters will be a surprise. Once everyone has been given their starting place and character the game can begin. There is a rulebook to read through, but in the start it’s almost empty, as rules are added during gameplay. This means you can pretty much read the setup and begin to play straight away. Players are given a set of workers, which can be placed on the available buildings. Each building represents a specific action, such as building another building, obtaining resources, or gaining cards with special abilities. Players can use each other’s buildings, but may only build in their own area. Buildings come in the form of stickers on cards, which are only revealed once unlocked. Whenever a building is unlocked there is usually a new rule and often a new character as well, which further changes gameplay. Players won’t know in advance which buildings they will be able to build as these will only be revealed once unlocked. As more and more buildings are built, new options become available to the players, introducing more strategy to the game. Actions can feel a bit limited in the start as options are fewer, but as the game progresses this will improve and the game will enable you to plan more ahead. There are a lot of cards in this game, so having to introduce and read a new small rule change, and adding new contents, is a big part of the gameplay. Additional elements will be added to the game as you progress, but to avoid spoiling anything these are best left not revealed. Each game will have a winner, but winning the most games is not a sure way to win the campaign itself. There are multiple factors which count towards the final scoring, such as personal achievements, number of characters unlocked, points from buildings, and ways to increase certain points, and although some scoring aspects are revealed very early on there are still several end game points that are not revealed until the end. Due to this it can be very difficult to know what’s best to do strategically. The best part of this game is that it’s interesting to see how the game changes and which buildings you get. The choices you make throughout will also affect your progress and what you should try to focus on for points towards the end. Something to be aware of when considering buying this game is that although the finished board can be used to play on after the campaign, the board will no longer change and the options in gameplay will therefore be fewer. There will most likely not be any more buildings left to build or unlock, which make up a big part of the campaign gameplay. 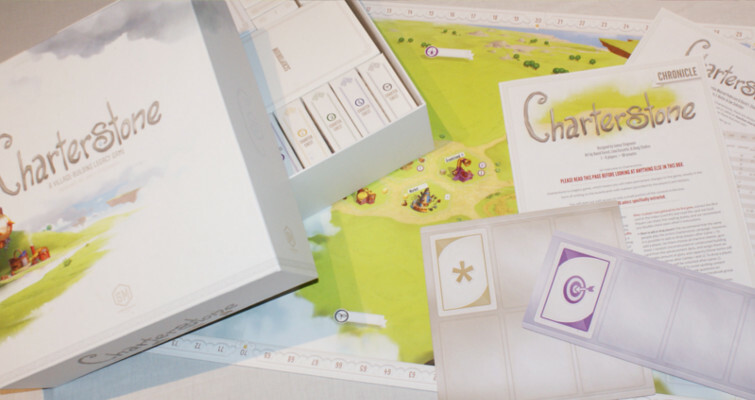 Despite the game’s limitations it does feature a 2-sided board with identical sides, so that a second campaign can be played on it. Replaying the whole campaign would require investing in a recharge pack with new stickers. Choosing a different starting character for everyone would be a good way of ensuring different a different gameplay outcome. Charterstone offers many hours of gameplay with lots of surprises along the way. The artwork and components are great and really add to the experience. For those, who enjoy campaigns, and don’t mind the limited replay element, it is definitely worth trying.